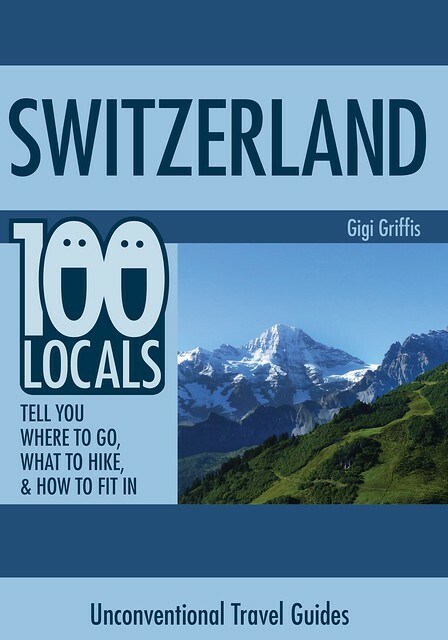 Ask a Local: What Should I Do/See/Eat in Grindelwald, Switzerland? 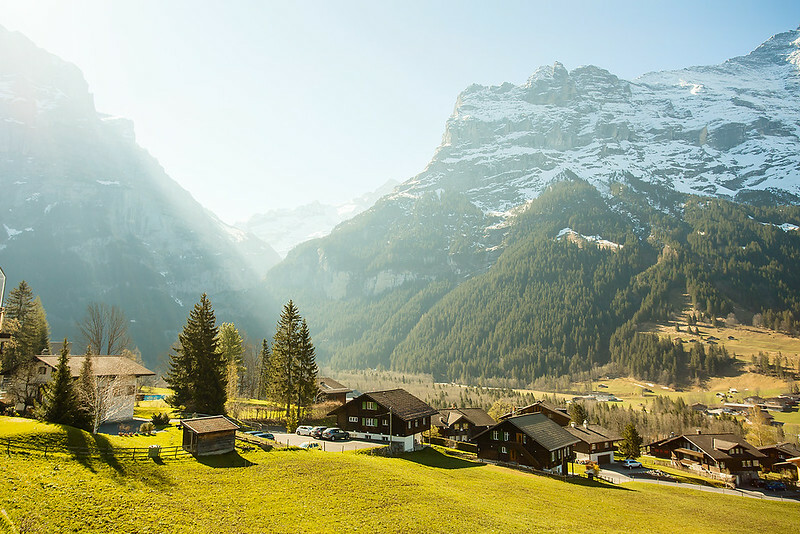 This week, we’re hearing from Elizabeth & Ueli Oehrli—trekkers, travelers, and artists who live in Grindelwald, Switzerland, in the stunning Bernese Oberland. Ueli grew up in Lauterbrunnen and Elizabeth in Iseltwald on the lake. We were both teachers and met at a school party. We have always both been big nature-lovers, so we bonded over skiing and hiking and the magnificent outdoors. These days, we’re retired. In our free time, we are painters (something we’ve done for a long time)—of mountains and plants and mountain guides. We have a nice studio in the house and you’ll often find Ueli in the studio and Elizabeth painting in the sitting room. We’re also avid travelers and have been trekking in places like the Peruvian Andes, the Nepalese Himalayas, Kyrgyzstan, and the High Atlas. When the weather is nice, take the gondolas to Kleine Scheidegg and Gross Scheidegg. 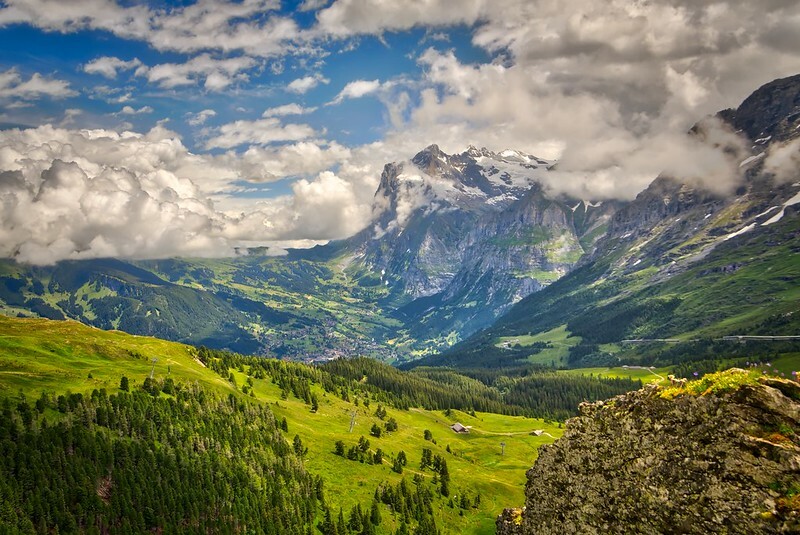 Then enjoy a simple walk from Gross Scheidegg to First. This walk has a panoramic view and is open and light and easy. It’s also nice to go to Schwarzwaldalp. There’s a beautiful, dramatic gorge there. In June, when the snow melts, it’s so powerful. We’d also recommend the Trümmelbach Falls (waterfalls inside the mountain) in the Lauterbrunnen Valley, the Glacier Gorge in Grindelwald, and the marble cave below Marmorbruch Restaurant. Another beautiful walk is from First to Faulhorn. 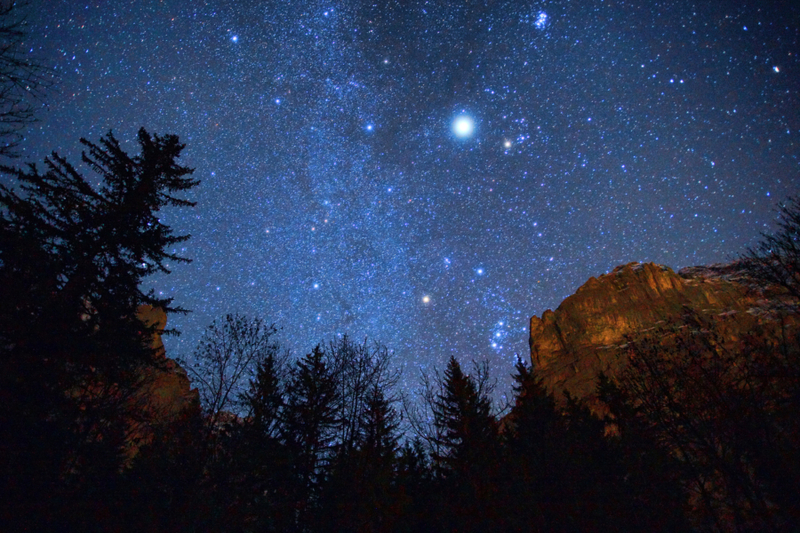 This is one of our favorites—amazing and beautiful. On one side, you can see to Germany and from the other you get the panorama of Eiger, Mönch, and Jungfrau. If you take the popular trek from First to Bachalpsee, turn toward Busalp instead of going over the pass. That way is more interesting, taking you diagonally down narrow, stony paths. If you aren’t a hiker, try the Grindelwald Museum. It’s not very big but is great for a rainy day. Another good rainy-day option is the sports center, which has a climbing gym, a swimming pool, and tubes for the kids to ride around in. 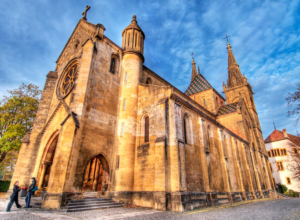 And finally, visit the 1,100-year-old protestant church with its wooden posts and beautiful organ. Stay a while and check out the guestbook. The Flower Path (from Waldspitz to Bort) is lovely and full of rare flowers. From there, you can walk to Bäregg and the Schreckhorn hut on a beautiful, wild path with an always-changing view. This path will take you over some ropes, across some iron stakes hammered into the rocks, and over gorges and wild rivers. You’ll have to cross at least one broad river, so only go if the weather is good and you’re experienced. If the snow is melting and the river is strong, save this for another day. On the other side of the valley, by the upper glacier, Gleckstein hut is another nice choice. From First, there is a steep, narrow, stony path to Waldspitz that’s worth taking if you’re used to tough hikes; it’s tougher and longer than the Flower Path, but it’s worth it. If you’re not up for that, you can take an easier path from Bachalpsee to Waldspitz. And from Waldspitz, there’s a beautiful path that runs flat for about 20 minutes and then heads up the mountain to a nice little pond called Kohlenweiher. It’s stunning when the weather is clear. You can see the Eiger reflected in the pond, which is surrounded by pine trees. 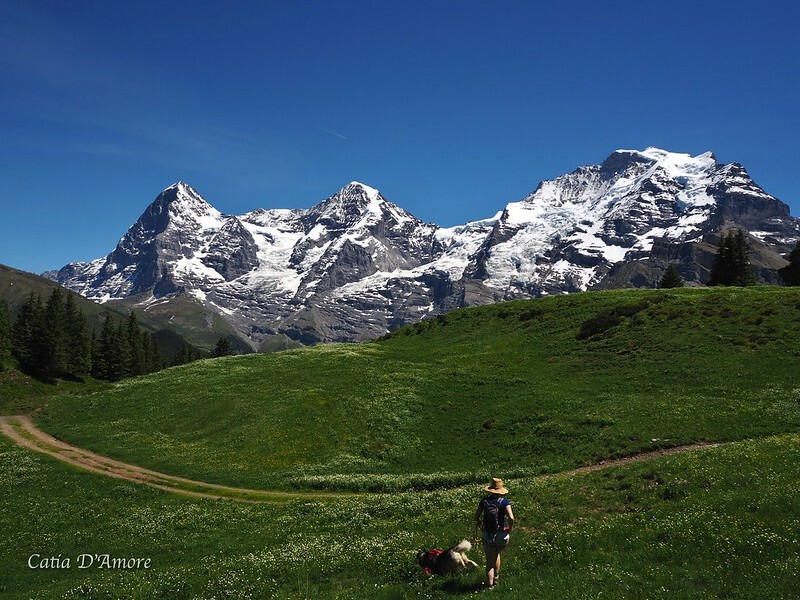 In the summer, the hike from Gletscherschlucht to Alpiglen, along the foot of the Eiger, is something special. You’ll find plants that you wouldn’t see elsewhere (because of the shade here). And from Alpiglen you can go up to the Eigergletscher. Finally, there’s the Lauberhorn (home of the famous world cup race in the winter). In the summer, you can climb the peak and it’s really simple and wonderful. Most people go to the upper station for skiing, but it’s only 10 minutes past that to the peak and no one goes! If you like a little city bustle, stay in Grindelwald. 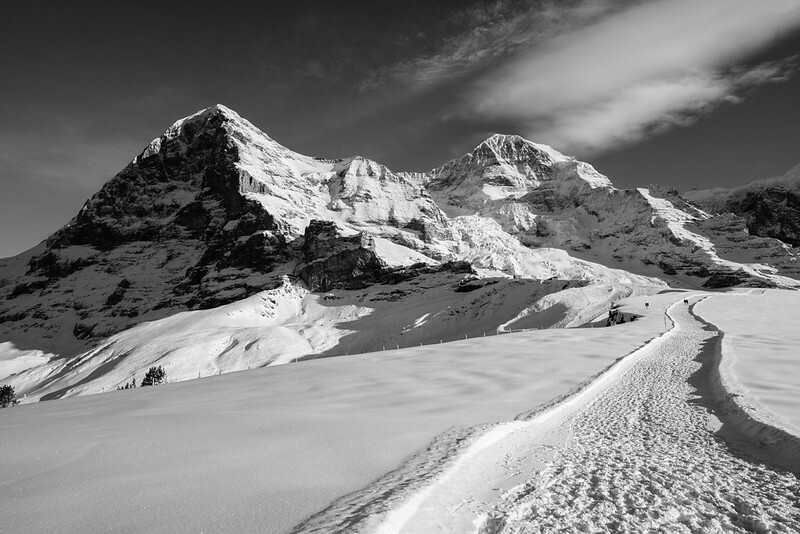 If you prefer silence, go toward the Wetterhorn and Gross Scheidegg. We’d also recommend spending a night in Männlichen, which has a spectacular view down the Lauterbrunnen Valley. Kleine Scheidegg is also very quiet and has an ancient, elegant hotel. If you’re sporty, we suggest going from First to Schwarzhorn. It’s a remarkable mountain and you’ll only need to climb a little. Beyond Gross Scheidegg, there’s the Engelhorn or Wetterhorn. You’ll need a guide for those and you’ll have to do some real climbing, but if you want peaks, they’re where you can go. You can also go to the Engelhorn hut, and you won’t need a guide for that hike. 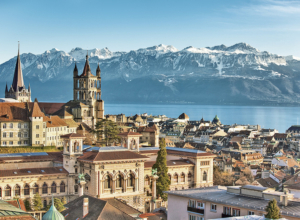 If you’re staying for a while and want a city break, go to Bern. It’s the capitol and they have nice shops and a great medieval town center surrounded by the Aare River. 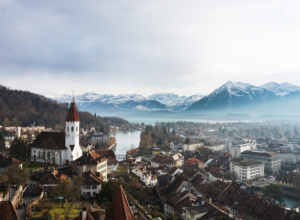 Thun is also nice. Zürich isn’t that far. And Brienz, where you’ll find the Ballenburg (an arrangement of old Swiss houses from every canton, where you can find exhibitions on silk-making, bee-keeping, weaving, sausages, Swiss bread, etc. ), is worth a visit as well. From Brienz, you can take the old steam train (Rothorn) for a pretty ride. If you head toward Interlaken, the Harder Kulm viewpoint is another good choice, as are Iseltwald (along Lake Brienz) and the Geissbach waterfalls (which are best when the snows are melting in the early summer). If you hike to the Geissbach, wear long sleeves and pants. The woods are full of brambles and ticks. Finally, a couple more sporty options include the hike to the Mutthornhütte (a mountain hut for which you’ll need a guide), which will take you past a glacier, and from Stechelberg to Obersteinberg (which you can do without a guide). Plus, the area behind Stechelberg is a UNESCO World Heritage Site. For coffee and tea, try C&M (at Almisgässli 1). It’s a good tea- room and also has small meals. For restaurants, we like the well-cared-for, family-run Kirchbühl, located at Kirchbühlstrasse 23. It’s famous, quiet, and beautiful and in summertime you can sit outside. The Wetterhorn in Grindelwald is reasonable. The restaurant in Hotel Kreuz (at Dorfstrasse 85) is good. Alpina (above the station) is recommended. And the two pizzerias in town are also good. The restaurant at the top of the Faulhorn has really good rösti and the view is wonderful. The most photographed subject in town is the church with the Wetterhorn in the background. But we Swiss feel that this is a little kitschy. Instead, maybe go back on the trails toward Kleine Scheidegg or Baregg. You could take a great photograph there (or paint it). There are also gorgeous wildflowers along the way. The most important thing, really, is keeping your eyes open and taking everything in. You can find so many gorgeous places. Thanks for this, we are heading to Switzerland for the first time this morning and planning 4 days In Grindelwald.